(CNS): Following the premier’s announcement that government is about to cut civil service salaries and expenditure in an attempt to address what is now thought to be a $62 million plus deficit, the independent MLA for North Side has called on him to convene an emergency meeting of Finance Committee to ensure the public sector is legally bound to reduce spending. Ezzard Miller has also suggested that government should reduce expenditure on goods and services before it cuts salaries. Cutting pay, he says, will have a serious demoralizing impact on public servants at a time when government needs them to work harder than ever. Miller said the pay cuts were a tax on public sector workers. Miller also pointed out that the premier cannot simply instruct the reduction of salaries and benefits or any other cuts in expenditure without altering the Appropriations Law, and therefore there needs to be a Finance Committee meeting. The independent representative said while he fully supported the government’s move to cut MLA salaries, government should not cut the salary of public servants until otheroptions had been fully exhausted. He called for all of the fifteen elected members of parliament on both sides of the House to put their heads together at a Finance Committee meeting with heads of departments and chief officers and go through the budget line by line until the necessary savings had been made to reduce the deficit as much as possible. The backbencher and sole independent politician in the House admitted it would take effort and time but it was what was needed to be done. “It will obviously take us several days to go through each line item, but that’s what we arepaid for,” Miller observed, and added that the only way to cut government expenditure was to do so in Finance Committee under the Appropriations Law, otherwise the cuts to salaries or anything else would not be legally enforceable. Miller warned that the current government would get caught out in the same way the previous administration had if it did not go to Finance Committee and officially cut the approved line items. He recalled how the previous PPM administration had issued an edict to cut spending by 6%, but because it was not formalized it simply did not happen and this will happen again unless government physically takes money away. A show of bi-partisan commitment to address the budget problem would also assist the premier when he goes to London to negotiate with the UK government over the current finances of the Cayman Islands government, Miller suggested. He called for Finance Committee to meet next week as a result of the urgency regarding finances and stated he had sent a letter to both the premier, McKeeva Bush, and the leader of the opposition, Kurt Tibbetts. While the opposition told CNS they would be happy to support Miller’s request, Bush has said that he would not be calling the finance meeting for next week as he will be in London and the LA would be reconvened on or around the 24 March. "At this point, there is no need to call the committee as the civil service are working with us to make the cuts and if I am not satisfied with what happens I will go to Finance Committee," Bush said. The implication by Miller regarding the previous administration not succeeding in cuts because they did not go to Finance Committee was incorrect and the previous administration had simply overspent, Bush said. "At this time I have no confidence that the PPM has anything to offer in Finance Committee," the premier told CNS. "They are a pack of liars and I am not going to allow them to play politics with this country. I don’t have time to waste." Check back to CNS later to see the latest story on civil service meeting held Wednesday and the premier’s comments on the way forward. (CNS): A new report from the Office of the Auditor General has revealed that an estimated $500,000 could have been obtained by public sector workers fraudulently as a result of misuse of the government’s fuel station in North Sound Road. Dan Duguay and his team found that over 30% of the transactions reviewed were suspicious and at least 25% of transactions charged at the fuel station were not for government purposes. The report also revealed that a significant number of the cards issued to civil servants to gain access to fuel were being held by people who had resigned from government. With little or no control over the system, Duguay says it has been severely abused, causing significant loss to the government purse. "The lack of effective controls, the ineffectiveness of management review and the high number of suspicious transactions are all red flags of possible fraud in the system of fuel disbursement," the AG stated. "This, along with the high number of people who should not have had access to the system, led the Office of the Auditor General to conclude that there was a very high probability that there has been significant fraud in the government fuel distribution system." Although he said it was not possible to give an exact figure, the office had estimated the problem to be in excess of $500,000 of fuel each year being used for non-government purposes. He said that his office had recommended government review polices and controls over fuel distribution as soon as possible. The fuel management system used at the Department of Vehicle and Equipment Services is a GASBOY card, which is issued to workers who need to fuel up public vehicles. There are currently 1,600 cards in use — equivalent to one fuel card for every four individuals in the public sector However, Duguay pointed out that 25% of those cards were issued to people who had resigned but the cards were still active. There were also more than a 100 incidences of two or more cards being issued to the same employee. But as a result of those cards being passed on and around, the management had no control over who was using the cards when. "The issue of fuel card distribution indicates a total lack of control and responsibility," Duguay noted. Not surprisingly, Public Works, the National Roads Authority, Environmental Health, Water Authority and the police were the biggest users, accounting for almost three quarters of the fuel consumed by government. The audit found that in some cases fuel cards were being used multiple time in one day, and while there may be legitimate reasons for that, it was hard to justify when the card holder had resigned from post. According to the internal audit, the RCIPS had 505 cards for 233vehicles, with 141 being issued to ex-employees. In one incident a card issue to a terminated employee made 156 fuel transactions in one month, a year after that employee had left the service. The auditor’s office pointed out that with no controls it was not possible to pinpoint who was using the card. In the management response, the RCIPS said that it notified the DVES of all terminated employees and therefore it should not be allowing the cards to be used. Duguay noted that the absence of management controls at the DVES had created an environment where fraudulent use of fuel intended only for government use is a virtual certainty. He said there were several red flags for that fraud, including multiple transactions on a given card in the space of one hour as well as purchases on vehicle cards that were in excess of a vehicle’s fuel capacity. The auditor general observed that the system was well designed but it had entirely failed to function as it was not being observed by those managing it, providing the recipe for the fraud, which the office believes has occurred. Given the recommendations made by the internal audit unit, Duguay notes that the five major fuel using entities have detailed what steps they are taking to improve controls. The auditor said, however, that more drastic steps needed to be taken to stop this potential for abuse in future and government needed to make an immediate and effective review of the overall arrangements to ensure that in future fuel paid for by government is only used by government. (CNS): The Cayman Islands Athletic Association will be hosting the annual CUC Championships on Friday, 12 March, at 6pm and continuing on Saturday, 13 March, at 9:00am at the Truman Bodden Sports Complex. The CUC Meet will feature most of our top local athletes and is one of the key events at which they can qualify for the forthcoming CARIFTA Games and other international meets. Caribbean Utilities Company the Meet sponsor has been an ardent supporter of the Cayman Athletics Association and has sponsored this Track & Field event for over 25 years. Representatives from CUC will be on hand to present the awards. Registration is open to ages 7 and above, and forms are available at all schools PE Department, or by contacting Elizabeth Ibeh 925-4763, Coach Wason 916-6966, Coach Williams 925-1943 and Coach Yen 925-6917. Completed forms maybe returned to any of the above persons or emailed to caymanathletics@gmail.com. Registration closes on Monday May 8th. There will be no late Registrations. 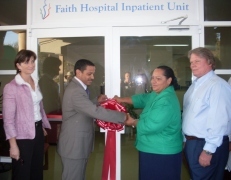 (CNS): Extensive renovations to Faith Hospital on Cayman Brac have been completed for $1.26 million – well within the $1.3 million approved in the 2008/9 budget. The work, which included upgrading the electrical and air-conditioning systems in the ageing facility, was started under the previous administration in 2008. Delayed by Hurricane Paloma in November that year, the repairs then included upgrading the roof and the patient area, which was paid for with an insurance payout of $1.2 million for hurricane damage. As well as the improved infrastructure of the building, the hospital now has enhanced pharmacy, lab and birthing area, plus a new digital imaging facility, which will enable staff to make more informed and timely decisions, as well as save on costs of inter-island transfer of patients, Health Services Authority CEO Lizzette Yearwood revealed at a ceremony to mark the completion of the project last Friday. The Brac EMT Department also has a new US$59,000 ambulance, it was announced. The vehicle it replaced has gone to Grand Cayman where it can be serviced more readily. Dr. Srirangan Velusamy, Director of Sister Islands Health Services, explained that Faith Hospital remained open during the renovations by temporarily relocating all the sections, in a phased manner, to a different part of the hospital to accommodate the renovation and by using the new annex of the Kirkconnell Community Care Home, which is located next to the hospital, for inpatients. PWD managed the overall project, while Kozaily Design and KM Ltd were contractors for the renovations. Yearwood said that thanks to the “remarkable ingenuity of the project team and staff of the hospital”, the project was managed without compromising patient care or closing any hospital services.“The planning process was critical in relocating various sections of the hospital in to different areas in a controlled and phased manner so as to minimize the adverse impacts on patients and staff,” she said. Marking the end of a PPM project, Deputy Premier Juliana O’Connor-Conolly, who has responsibility for District Administration, and Health Minister Mark Scotland cut the ribbon on the repaired inpatient wing, renamed the Captain Charles Kirkconnell Wing after the late former Sister Islands MLA. 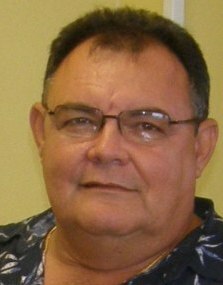 Captain Kirkconnell, who died 18 February, donated the land for the Faith Hospital complex and also served as a chairman of the committee of Cayman Brac residents which raised funds and constructed the original Faith Hospital. Sister Islands MLA Moses Kirkconnell said the hospital, which was originally built by Brac residents, represented what the island was about and provides a showcase for what can be accomplished when people work together. She said that senior management of the HSA and Faith Hospital worked closely with dedicated front line healthcare workers to establish a long-term plan to improve the way we offer health care in the Sister Islands. "This re-opening is a big part of that plan but we also have many more improvements planned for the future to meet population growth projections and further expand our range of services. I look forward to updating you as we move forward with those plans." Addressing overall health care in the Cayman Islands, Health Minister Scotland announced that his ministry was looking at the medical services which currently require overseas referrals to see if there are possible opportunities to expand the local healthcare to offer these services in Cayman. 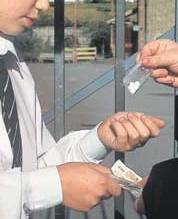 (CNS): The National Drug Council says it is facing financial challenges as it prepares to undertake its Student Drug Use Survey next month and is looking for volunteers to help get the work done. In order to understand the current levels of drug and alcohol use among children in middle and high schools and how to tackle the problem, the NDC said it is critical to have accurate figures. The organisation is therefore asking people to give up less then two hours to help them conduct the critical survey that will ensure the council directs its limited resources. The last survey was conducted in 2006 and, according to the statistics, 11.5% of students admitted to some kind of drug use. The NDC said the survey provides them with a better understanding of drug use among middle and high school students in the Cayman Islands and contributes towards the development and strengthening of prevention programmes and policies, as well as tracking changes in alcohol and drug use patterns. Over the past 10 years, the survey has identified areas where prevention programmes and treatment may be necessary. More importantly, the survey has been utilised by the public and private sector including government officials, local organisations, special interest groups, and various regional bodies to guide discussions, strategic plans and policies the NDC stated. Joan West-Dacres, Executive Director for the National Drug Council, said that knowing the drug consumption patterns of young people allows those who are dealing with the effects of substance abuse in our community to properly allocate resources according to the needs of our young people. “We are extremely cognizant of the enormous financial challenges, and we must be careful to apply our resources in the most effective way. Without accurate information like that which is garnered through surveys such as this, it is impossible,” she said. “This survey will not only allow us to determine the extent of alcohol and drug use among middle andhigh school students in grades 7-12 in the Cayman Islands, but will continue to give those working with young people a base for preparing and improving programmes directed toward our youth”. Although the NDC has qualified staff, including a research and information officer, and the necessary statistical software and data entry apparatus to carry out its 6th cycle of the Cayman Islands Student DrugUse Survey, it says it also needs more hands on deck. It is now seeking volunteer fieldwork assistants, who will be required to volunteer approximately 1½ hours during the week of 12-16 April to administer the survey to students in classrooms. There will be two sessions – morning and afternoon. Ideally, the NDC says it needs 70 to 80 fieldwork assistants in order to collect the data in an efficient and timely manner. If you would like to Volunteer please contact us on 949-9000 or email info@ndc.ky . (The Daily Mail): A homeowner who killed an armed intruder and seriously injured another man after they broke into his flat has been cleared of murder today. Samuel Quamina, 49, was confronted by three men brandishing a pistol and a metal steering lock as he read the Bible in his home. He armed himself with two kitchen knives and slashed at the burglars as they attempted to grab his gold necklace and rings. Perry Nelson Jr, 24, (left) suffered a fatal stab wound and died at King’s College Hospital after running from the bungled raid. (CNS): Despite announcing net losses of $213 million for the group this afternoon, the Managing Director of Butterfield Cayman Ltd was relatively upbeat at the press conference convened to announce the changes at the financial institution. The bank boss revealed that The Carlyle Group, Canadian Imperial Bank of Commerce and “other Institutions” had injected $550 million worth of new capital into the bank. Conor O’Dea admitted that the losses and fall in share price were bad news for shareholders but the capital injection made it good news for employees and customers. He also revealed that the losses were mostly confined to Bermuda and that Cayman had in fact turned an audited net income of $8.7 million after making a provision for loan losses of over $6 million. “I am pleased with the Cayman results,” he said, adding that no jobs would be lost on the island and as far as customers and employees were concerned it would be business as usual for the bank. He said there would be no name changes as a result of the new major shareholders and that the Butterfield Group was now a well capitalized independent institution, having “de-risked” with the help of the investment. O’Dea said the bank was now clear of problematic assets, liquid clear of risk and well capitalized in excess of legal requirements. He said the future was brighter and the financial injection illustrated the confidence investors had in the banking group franchise, despite the fall in the share price. The Cayman MD said, like many banks, Butterfield had learned a lot of hard lessons in the financial crisis, and despite having a reputation for conservative lending it had been caught out by the sub prime market. He said he was pleased for customers and employers and there was no speculation about the future as the deal was done and the money was literally in the bank. He said the future would be about wiser investments and a different way of lending, but it would remain a conservative franchise. In an official release the firm stated that Butterfield Bank (Cayman) Limited, a subsidiary of Butterfield Group, recorded a net income of $8.4 million for the year ended 31 December 2009, down $19.0 million from $27.4 million for the year ended 2008. Loan loss provisions increased by $7.2 million, following specific credit provisions of $6.8 million primarily related to a hospitality loan. Non-Interest expenses from continuing operations declined by $ 5.2 million. Gains on sales of investments of $0.3 million brought reported net income to $8.7 million in 2009 compared with a net income of $78.3 million in the previous year. Net income in 2008 was impacted by the recognition of other than temporarily impaired investment losses of $29.7 million offset by Net Income from Discontinued Operations of $80.6 million following the sale of its fund services business. Total assets now stand at $2.6 billion compared to $3.3 billion at 2008 year-end, reflecting lower level of short-term deposits from hedge fund clients. Assets under administration, at $5.0 billion, were down $0.4 billion from the position at year end 2008, whilst assets under management increased 14.6% to $857.2 million. Total capital ratio as at 31 December 2009 was 13.3%. Butterfield Group, however, reported an audited net loss for the full year ended 31 December 2009 of $213.4 million, or $2.34 per fully diluted share, compared to audited net income of $4.8 million, or $0.05 per fully diluted share, in 2008. These losses resulted from a write-down of mortgage-backed securities and substantially higher commercial loan loss provisions. O’Dea added that Butterfield prided itself on forward-thinking. “We take our commitment to our customers very seriously. We remain focused on providing excellent customer service allied to a comprehensive range of retail banking and wealth management products in the Cayman Islands,” he said.